Also, many of the developer discussions take place in gerrit review. 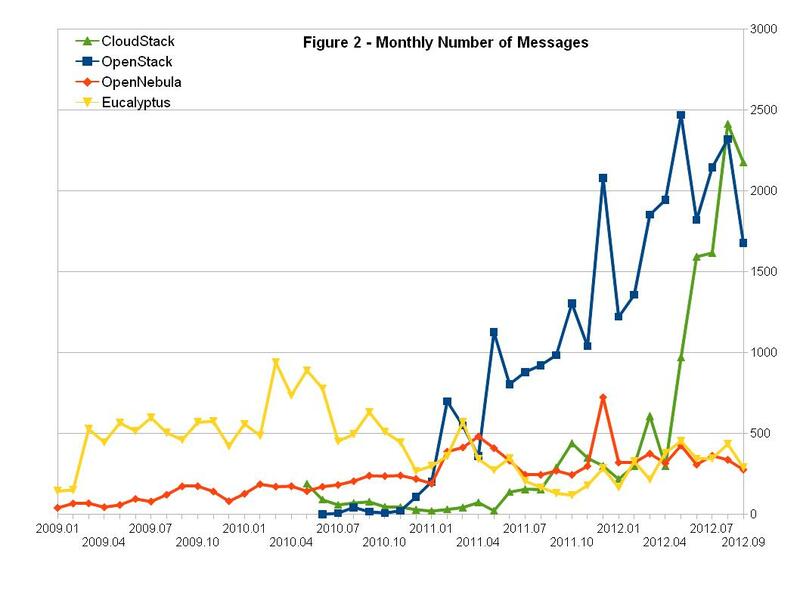 I have just updated the original post with data from http://lists.openstack.org/pipermail/*/ . Please refresh your browser and get the new version. Thank you so much for your correction. 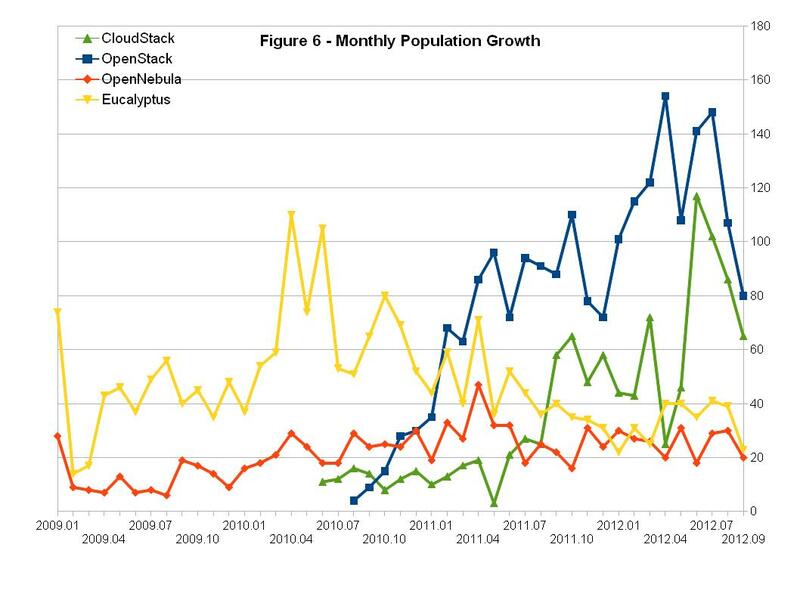 It seems the OpenNebula way of concentrating on product quality while being mostly silent on the marketing front is not able to compete with the budgets of OpenStack and Citrix. They simply catch all the new users. And nice to see that Eucalyptus is this well settled. 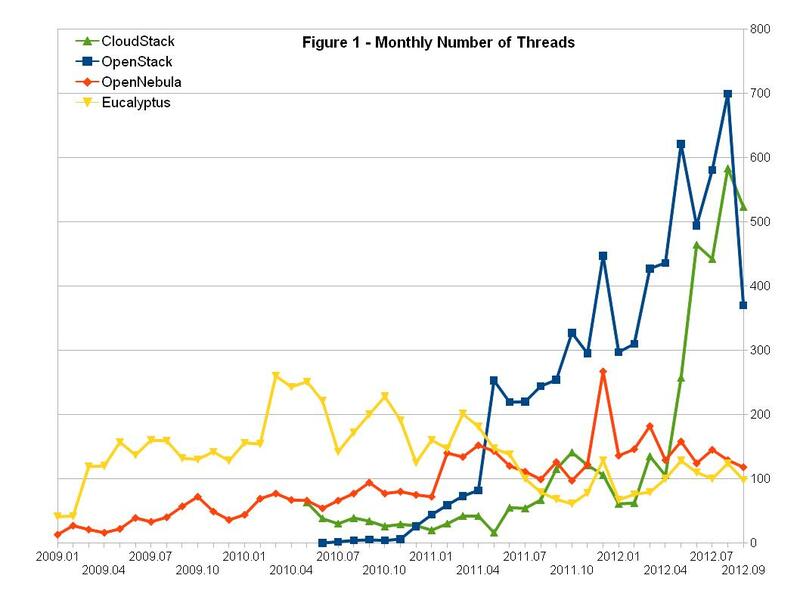 Personally I watch the OpenNebula list and they have an incredibly high rate of “problem resolution” which is their uniqueness. After those 3 avg mails the problem is usually either solved or the user has been asked to turn it into a bugtracker item. For quality, they win. But it’s doubtful if that helps if nobody knows about it. Last, the praise for the ASF way of hosting / licensing projects is great. There is some wisdom/experience where many OSS projects should listen. I have been a user of OpenNebula for two years, and I like it very much. 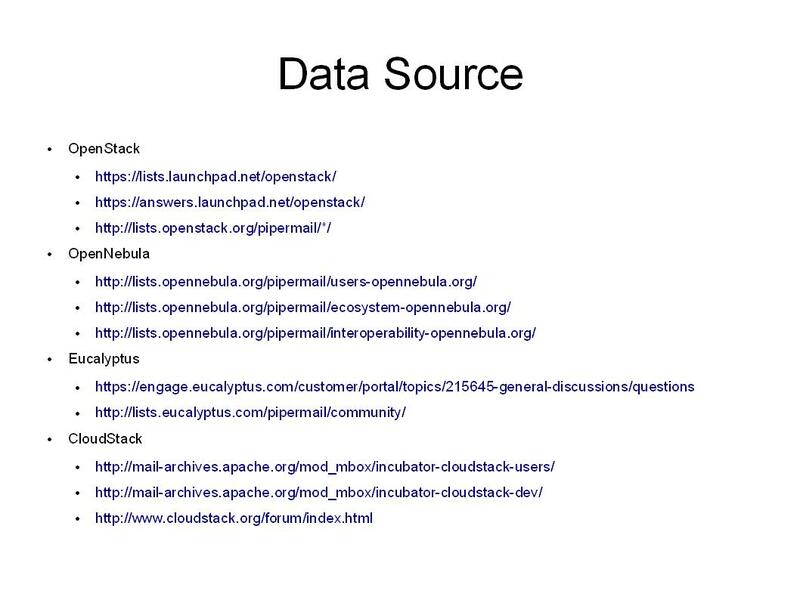 Yes the OpenNebula mailing list is really helpful. I am thinking about how I can integrate this kind of information into the analysis so that it will be more helpful to others. Appreciation to my father who stated to me on the topic of this weblog, this webpage is truly awesome. site so i got here to go back the choose?.I’m trying to in finding things to enhance my web site!I guess its good enough to make use of some of your ideas!! 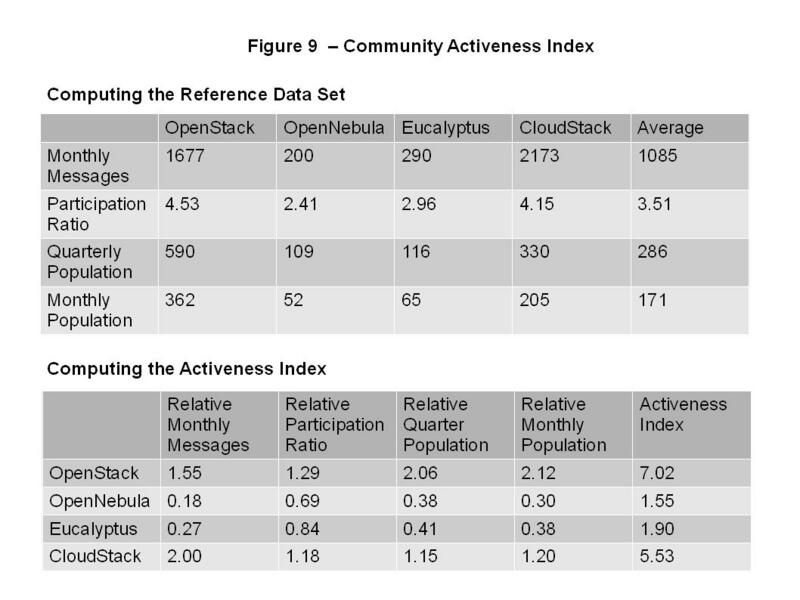 OpenStack vs OpenNebula vs Eucalyptus vs CloudStack is a little vanilla. You ought to look at Yahoo’s home page and note how they create post headlines to grab viewers to open the links.